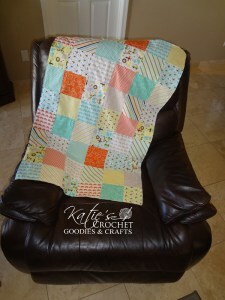 I absolutely love to sew and have been looking for some quick easy projects. I used to sew a lot of clothing items, but wanted to try something new. I found this incredibly easy quilt for beginners, it's super cute and simple to make. The trick to get all your squares to come out perfect is to purchase a charm pack... These packs include all the quilt squares you need for your project. They are all pre-cut in the correct size. This will save you a lot of time and a possible headache.